Lucy is tired of trying to be the perfect mother. Buried deep beneath a mountain of stinky diapers, her soul boils. When a mall security guard catches her stealing a tube of lipstick, he holds her for interrogation and unwittingly opens a Pandora’s box of Lucy’s hidden demons…demons that will scare the poor rent-a-cop worse than 1000 armed thieves. A surreal comedy about the absurdities of modern-day motherhood. Funded by Medienboard Berlin-Brandenburg, Kuratorium Junger Deutscher Film, and the BKM. A modern-day fairy tale about freedom, independence and anarchy in the form of a road trip movie. 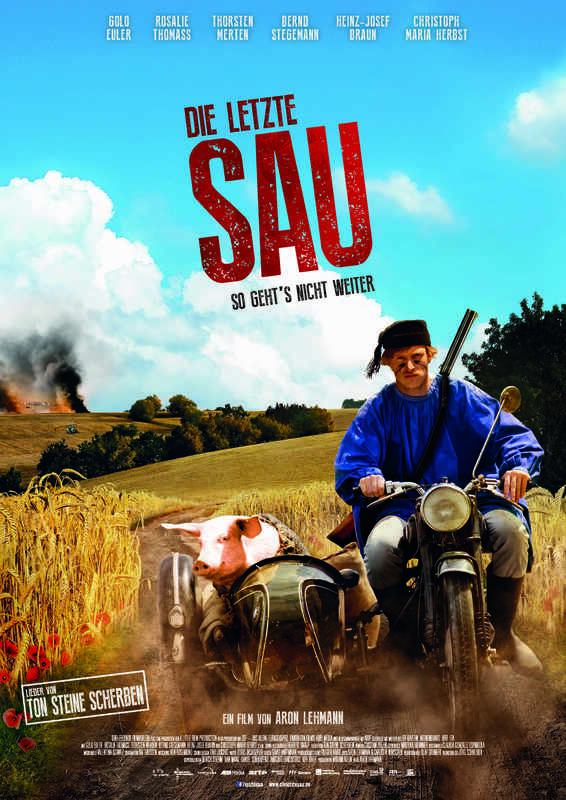 Huber is a small-town farmer who grows sick of living under the yoke of the agro-industrial complex, and decides to fight back. Like Spartacus, he wanders the country freeing others from their corporate slave drivers, and leading the masses to revolt. A co-production with ZDF – Das Kleine Fernsehspiel, Pantaleon Films, Arri Media, in collaboration with Arte and co-produced by Ulrich Stiehm. Funded by the FFF Bayern, Medienboard Berlin-Brandenbug, and the DFFF. Die Idee, Mode und Bewegtbild zu verbinden, Mode-Filme zu produzieren, ist für Miriam Klein die logische Konsequenz ihrer beruflichen Entwicklung der letzten zehn Jahre. Ihre jahrelange Erfahrung und engen Kontakte zur internationalen Modewelt sowie ihre Arbeit als Producerin für deutsche Kino- und TV-Filme sind die beste Voraussetzung, um qualitativ hochwertige Mode-Filme zu produzieren. Nicht zuletzt vereint Miriam Klein in a little. film production ihre beiden größten Leidenschaften – den Film und die Mode. Hutton Queen. A collection by Willem Gremliza. Starring: Renate Zatsch. Freshmen collection Spring Summer 2012. Inspired by J.D.Salinger’s Franny and Zooey. Music by FENSTER “White to red”. Portrait of the three nominees during the presentation and award ceremony in January 2012 in Berlin.